Toronto Wolfpack are top of League 1 after demolishing Doncaster 82-6. Jack Bussey grabbed a hat-trick of tries, with Fuifui Moimoi, Liam Kay and Blake Wallace all scoring twice. Bob Beswick, Quentin Laulu-Togagae, Greg Worthington, Richard Whiting and Rhys Jacks also got on the scoresheet. How good is this recap from our broadcast partners @cbcsports?! Lewis Charnock, Andy Litherland, Dan Abram and James Duerden scored tries for the Raiders. Hunslet are third in the table after a 58-6 success against South Wales Ironmen. George Flanagan (3) and Jake Normington (2) led the way for Hunslet, with Marcus Webb, Mufaro Mvududu, Aston Wilson, Joe Sanderson and Brooke Broughton also scoring. Oxford came from 10 points down at half-time to beat York City Knights 35-28. Jordan Gill (3), Harvey Burnett, Marcus Brooker and Jordan Siddons were the try scorers. 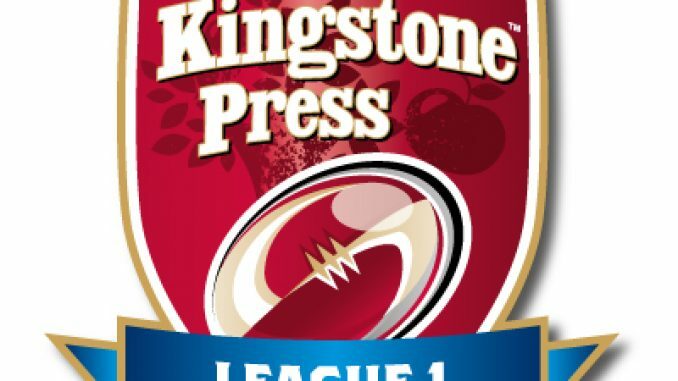 Andy Gabriel and Adam Ryder both scored four tries each and Brendon Rawlins got three as Keighley Cougars thumped Hemel Stags 84-6. Josh Tonks, James Feather, Brad Nicholson, Mike Emmett and Matthew Bailey also went over. London Skolars, Whitehaven and North Wales Crusaders also picked up wins, defeating Gloucestershire All Golds, Coventry Bears and Newcastle Thunder respectively.